Jaguar Land Rover spends about $30 million on media each year. 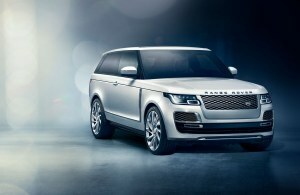 Jaguar Land Rover has handed its circa $30 million media account to Dentsu X following a global review as the agency opens a Sydney office, AdNews can reveal. The luxury car and 4WD vehicle manufacturer transitioned from Mindshare to Dentsu X in March, following a secretive global review that AdNews first became aware of in February. The win is a boost for the recently rebranded DentsuX, which lost the Federal Government account in the past week to UM. Dentsu X declined to comment on the new business win, which has been confirmed by several industry sources. Land Rover did not respond to AdNews at the time of writting. Dentsu X told AdNews that it was expanding its Australian footprint by opening a new office in Sydney. The Sydney office, which opened earlier this month, is being led by client service director Charlotte Edwards. She will lead a cross-functional team comprising media and digital specialists. Dentsu X, previously Dentsu Mitchell, has traditionally been more of a Melbourne-centric media agency due to the legacy of its former owner, Harold Mitchell. It also has a strong Canberra presence due to its work with the Federal Government. Dentsu X national managing director Angela Tangas told AdNews the move into the Sydney market comes at a transformational time for the agency. 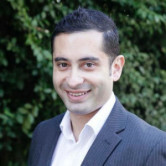 “We have a fantastic team in place ready to hit the ground running and are looking forward to working with our current and future client partners to provide solutions that realise lifetime customer value, spanning media and the broader customer ecosystem to deliver ‘experience beyond exposure’,” Tangas said. Tangas joined Dentsu X in early March following a global executive search, while Edwards joined from Carat six months ago, around the same time the agency rebranded.